While most people start their Italian sojourn with Rome, mine starts with Naples. I would be in Italy this weekend and plan to explore Naples and the stunning Mediterranean seaside around it. My flight lands in Naples at about noon. I plan to rent a car at the airport and drive straight to Sorrento. 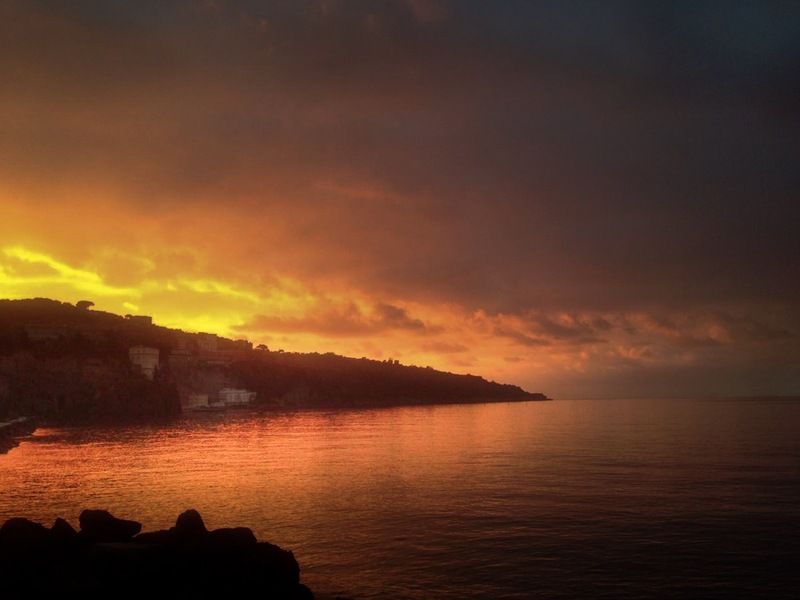 I have been told that the little town of Sorrento can make one feel at ease right from the minute one lands. The coastline is stunning, with the blue waters of the Mediterranean washing the jagged coastline. Coloured houses on the steep slopes make the landscape look picture perfect. Magical sunsets colour the sky in shades of firey orange and golden yellow. I can’t wait to unwind at Sorrento… I need it so much after a stressful examination week. All that I want to do in Sorrento is to have a few drinks by the sea whilst enjoying the sunset, guzzle down a few swigs of the authentic limoncello and nibble on some soft, fresh mozzarella. 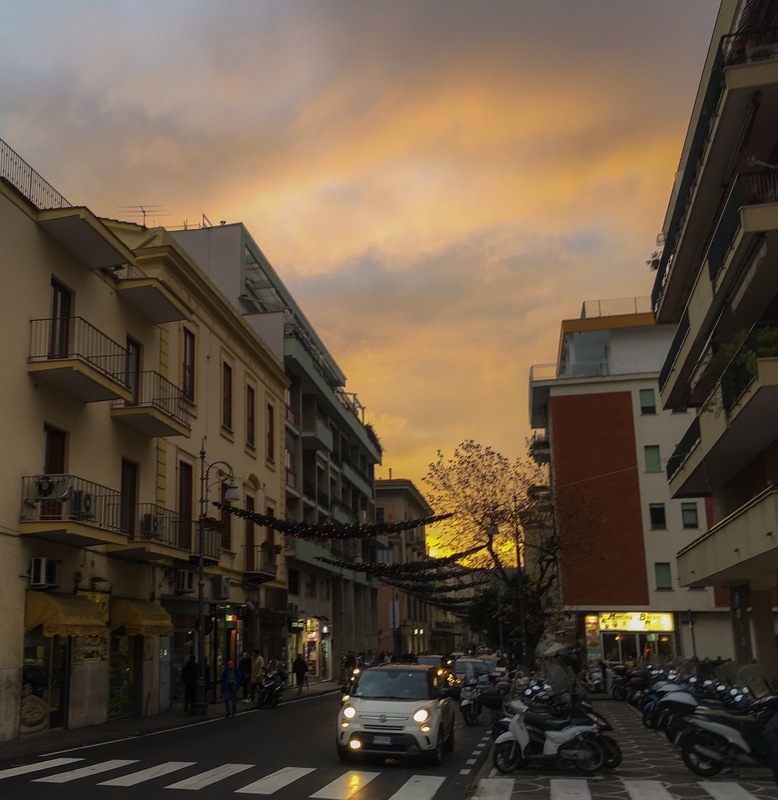 I have budgeted sometime to walk around the maze-like cobbled streets of Sorrento that are dotted with bars and restaurants. I have booked my night in Sorrento at Ulisse Deluxe Hostel, which is located close to the city centre and has very good reviews as well. 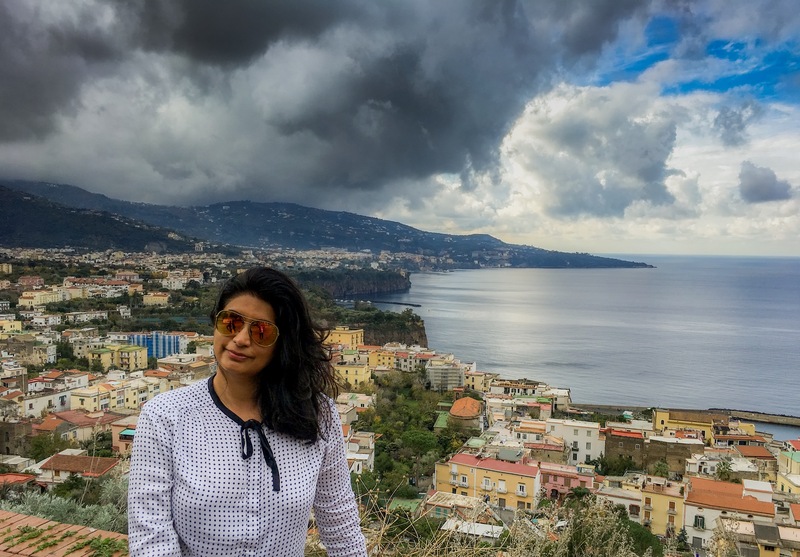 If I would have had a little longer in Sorrento, I would have made it a base to explore the Amalfi coast further, take a day trip to Capri Island and spend some time on the beach getting tanned. This day is dedicated to recreating the past in my mind by visiting the archaeological sites of the Roman city of Pompeii. 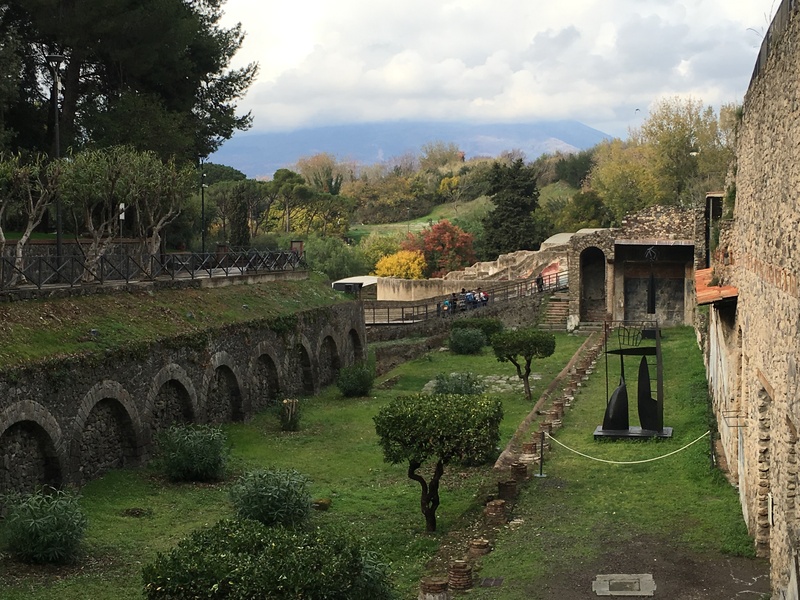 It takes about 45 minutes to drive from Sorrento to Pompeii. I intend to treat myself to a leisurely breakfast and leave Sorrento a little before noon. I have budgeted about 3 hours for Pompeii to explore the highlights of the ruins. Hopefully, I will be done with Pompeii by about 4 pm, after which I will hit the highway to Naples. I am not expecting to have any time left for sightseeing in Naples and I don’t want to visit any monuments there either. 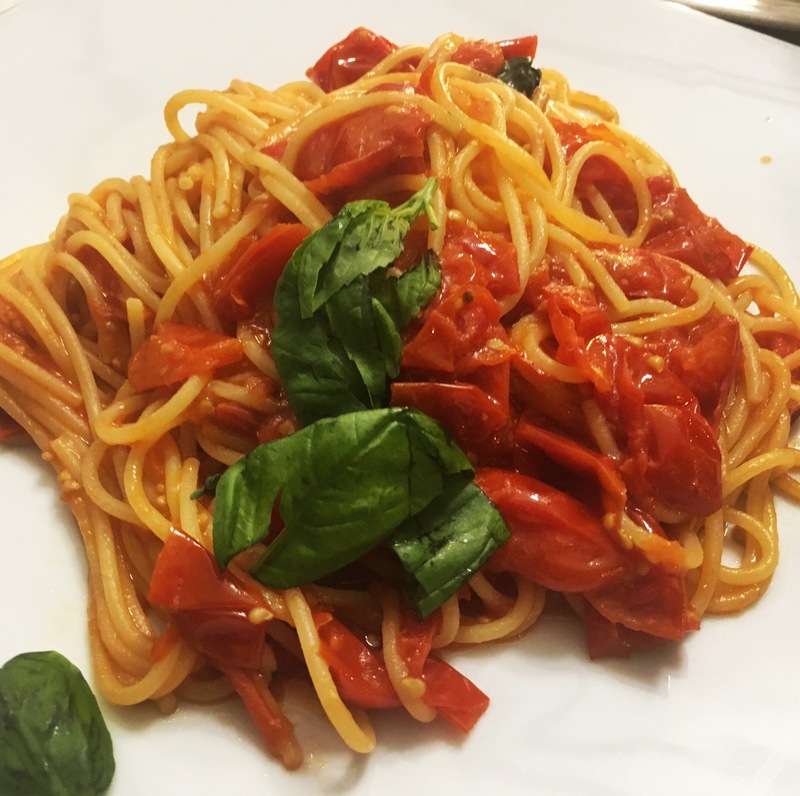 My priorities for Naples are very sorted … they are… food, food and food! The best pasta that I have ever had! I have booked the night at Hostel Mancini in the city centre at Napoli, close to the historical sites and the restaurants. So, I can eat to my heart’s content, potter around the main square and walk back to the hostel at any hour. While I would have liked to have a little more time in Italy, I need to be back at school on Monday. I will be leaving Naples for Madrid on Sunday morning, hopefully, with memories of a wonderful country with even more wonderful food. A weekend does not do justice to any country, let alone a country as stunning as Italy. 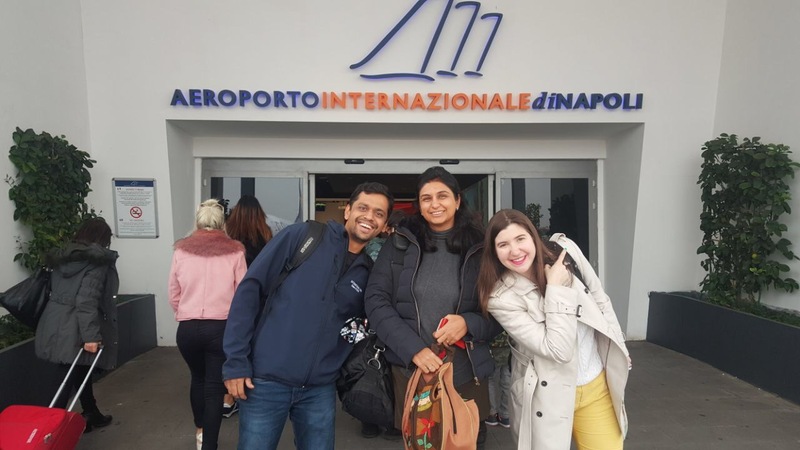 Ankur and I spent over a week in Austria, which is much smaller than Italy, and we feel that we still have so much more to see! I do hope that I will be able to make a few trips to feed my curious mind and my enthusiastic taste buds.